A house is never complete without a proper range of wooden furniture items no matter how expensive work is done in the structure of the building. The most important thing that counts is the wooden furniture inside the house. Meanwhile the cost of furniture items also give us chills, so sometimes we feel like enough, I am not going to spend even a single more penny on it anymore. In this situation the wooden pallet recycling comes for our rescue. It ensures that our finances are not exhausted and still we are provided with almost all of wooden furniture items. 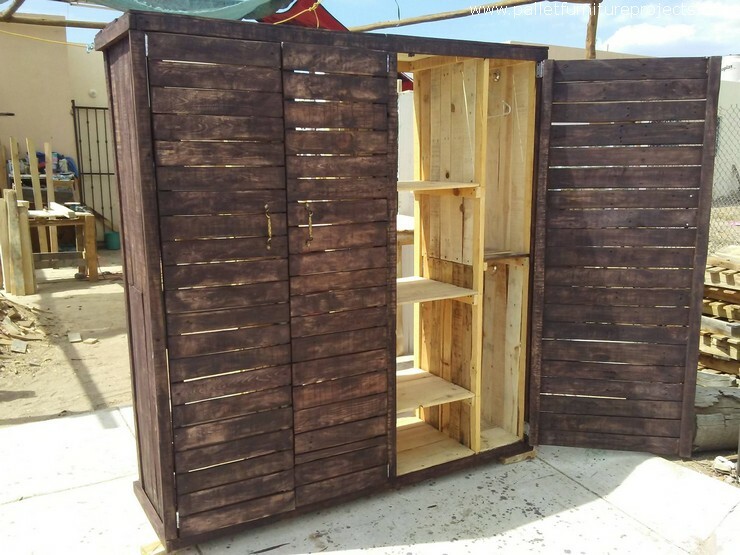 Take the example of this recycled wood pallet wardrobe. 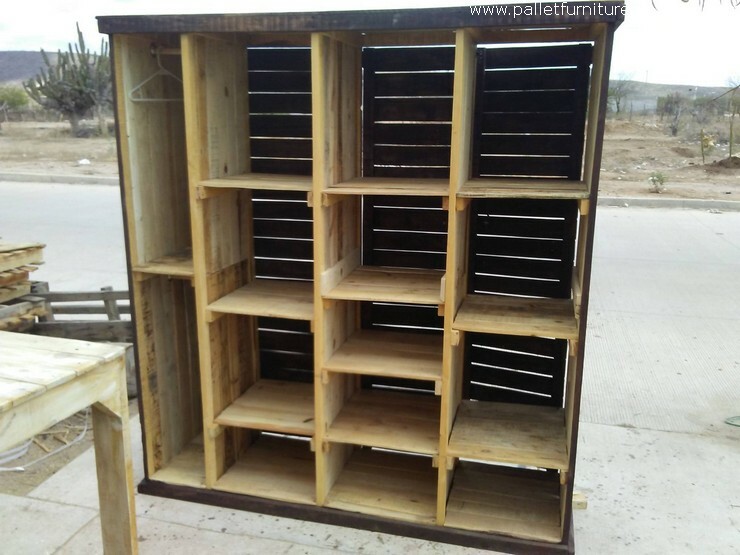 First of all have a look deep inside the pallet wooden cabinet, we have created a number of cabins inside the wooden cabinet. The little cabins in the right side could be used for various accessories like shoes, clothes, jewelry etc. We have also spared a corner for the clothes that are supposed to be hanged after being ironed. So this is basically a whole package of luxury and ease. Plus the large size of the cabinet ensures that you are not going to need any other wooden furniture article for taking care of your daily use accessories. 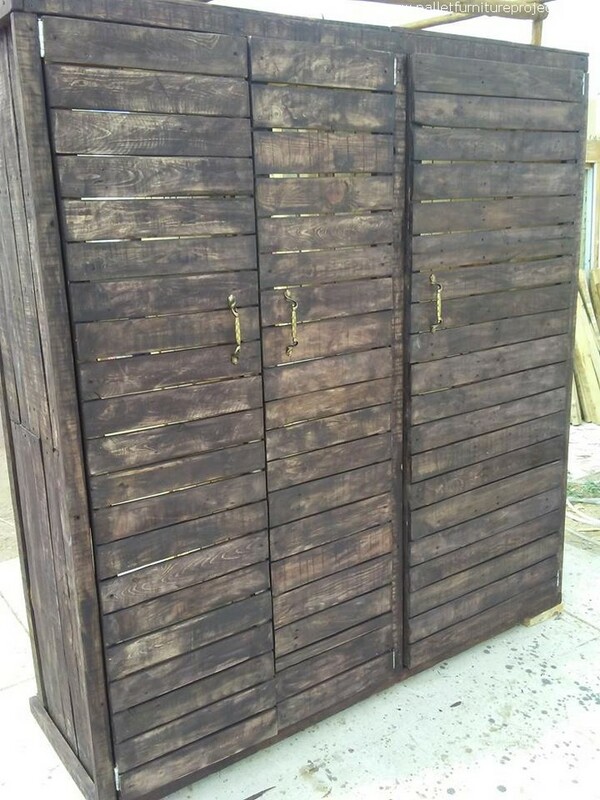 So after the basic inner structure of the wood pallet cabinet we have installed the frontal doors. And you know what is so attractive and special in these frontal doors? We actually didn’t stain them but they are kept in their original shade. And finally to add some more charm we have made the selection of some of the best metallic handles. 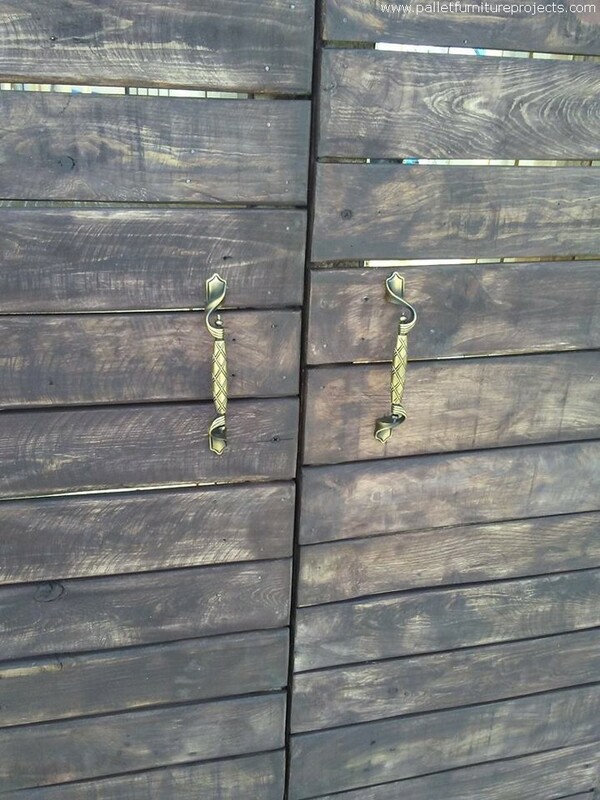 I think if there were some flaws, they are already compensated by this beautiful pair of handles. 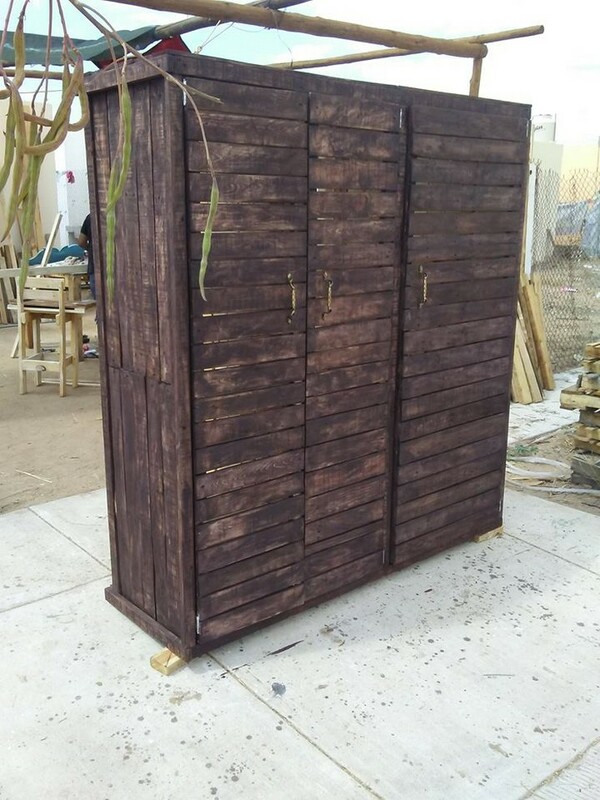 This wood pallet cabinet simply lacks nothing, all that is needed is already present in this gigantic wooden beauty.